Guided practices for chronic pain that target emotional and physical trauma. Discuss how to release the fear, frustration, and depression intensified by prior traumas, thereby lessening pain in the body. Apply the founding work of the Somatic Experiencing process to relieve pain caused by the aftermath of injuries, surgical procedures, joint and muscle conditions, migraines, and more. Practice exercises that build inner resilience and self-regulation supporting recovery from pain syndromes. Utilize exercises to calm the body's over-reactive fight response to pain and other proven tools to help you experience long-term relief. For those suffering chronic pain—even after years of surgery, rehabilitation and medication—only one question matters: How do I find lasting relief?With Freedom from Pain, two pioneers in the field address a crucial missing factor essential to long-term recovery—healing the unresolved emotional trauma held within the body. 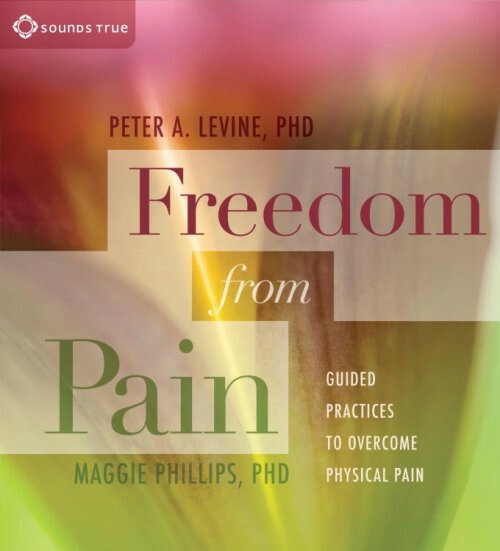 The path out of pain is unique for each one of us, explain Peter Levine and Maggie Phillips. It’s a labyrinth shaped by physical injury, genetics, learned responses, and—crucially—prior traumatic events and suppressed emotions. When all of these elements are successfully addressed, true recovery becomes possible. This program will help you to initiate that shift. Whether you’re seeking to begin a self-care strategy or amplify your current treatment program, Freedom from Pain will provide you with proven tools to help you experience long-term relief.